How the ability to appreciate difference in others and see things differently) is essential to rebuilding trust and breaking free of old templates. Why alignment is more important than connection to guarantee trust and engagement. What employees are looking for in a workplace that allows them influence, maximize their potential, and see the importance of investing in their significance. 7 ways trust establish a culture of innovation and sustainable growth. Why trust and engagement are dependent upon a new workplace that allows job descriptions to evolve and places people and their distinction at the center of an organization’s growth strategy. Organizations and their leaders know they need engagement with their people and their trust to evolve and grow. They also know that they need that engagement and trust to evolve with the needs of the workplace and marketplace. Yet while many organizations are saying the right things when it comes to this need, our years of research confirm that what they say is not leading to actual engagement and trust – and thus growth and evolution. This is even true at companies that have statements like “respect individuals,” “our people are our point of difference,” or “value our and all people” as part of their mission statements. Why do so many leaders and organizations not understand this? Because they aren’t listening. Too many leaders have forgotten the value of touching the business as they lead it and “getting their hands dirty” to reclaim engagement of their people and rebuilding trust to evolve and grow. 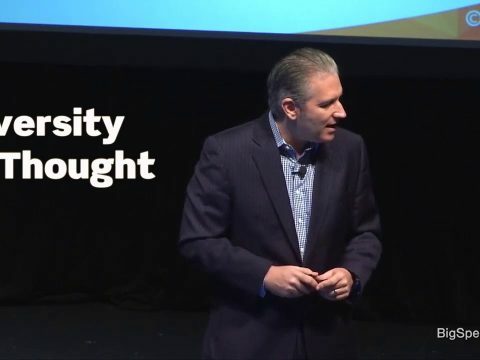 In this keynote, Glenn Llopis explores the foundations of engagement and trust as they support evolution and seizing new opportunities that leads to growth. He shows that trust in the workplace is more than just the belief that our employees, leaders, company, and brand(s) are reliable, good, honest, effective, and able. Trust must be the foundation upon which our leaders, employees, and customers have clarity and shared beliefs around a company’s evolution. Trust means that perceptions and expectations between employees, leaders, company, and brand(s) are aligned and strengthen that belief in a company’s mission in the workplace and marketplace. Trust comes from the actions that we take, but they must be felt by others in order to resonate. This requires us to change the conversation and challenge the status quo to enhance existing business models, client relationships, and our employee and employer brands. To do this, we need to embrace diversity of thought to create well thought out strategies for change. We need those strategies because… without strategy, change is merely substitution, not evolution – and evolution is at a premium when the business is losing trust in the workplace and losing ground in the marketplace and the need for change management becomes urgent. In the end, Llopis shows leaders that trust requires them to get their hands dirty and engage with the one thing that drives our businesses and indeed our lives: relationships with our people. 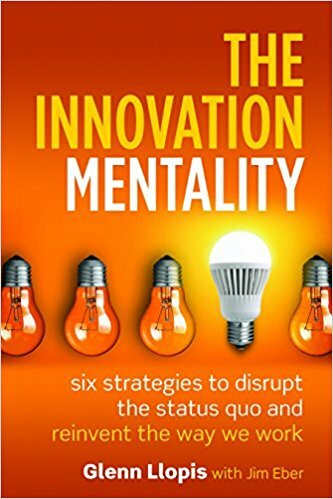 By deploying these six strategies of the innovation mentality together, they solve for a lack of trust and build the relationships that are the foundation for reclaiming engagement that grow stronger over time. When leaders do that they will solve for more than trust and engagement. They will influence the evolution and growth of their business. The insights to build high performance leaders and team, focused on inclusion and the power of individuality. 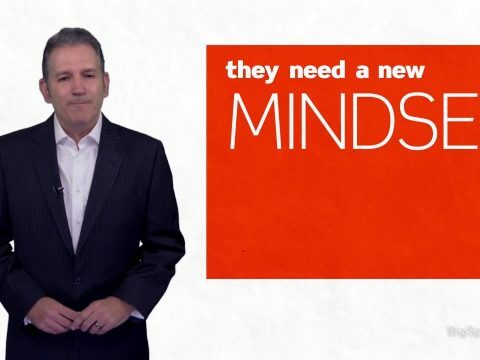 ​Inspired by Llopis’ bestselling book The Innovation Mentality – the speed of change requires us to bring people into the folder faster than ever. This means that organizations and leaders must be more inclusive, authentic and vulnerable. We must allow the unique ways leaders and employees think, act and influence — to define the future of our organizations. They must embrace diversity of thought. Based on Llopis’ research that included 12,000 senior leaders at more than 1000 companies including 65 Fortune 500 companies, 81% of them said that they always embrace diversity of thought and utilize one’s individual strengths. But when we asked the people they lead if they share the unique ways their cultural values influence how they think, 69% said “sometimes.” Additionally, while 87% of the supervisors said they encourage their employees to share their ideas and ideals, only 73% said they are “sometimes” vulnerable with their employees. 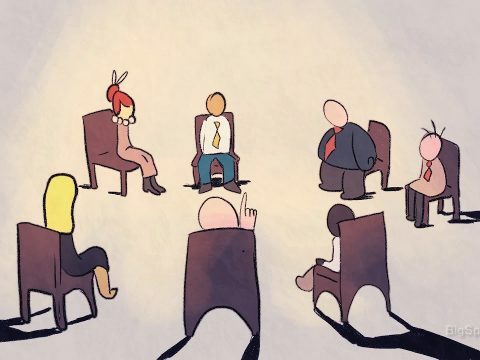 This is why even the most innovative and disruptive companies are often more like-minded than we think: They focus only on what makes them comfortable and struggle when there is genuine discomfort around meaningful issues that require us to evolve. As a result, they can’t break free from the thinking of the past and thus continue to focus on making incremental improvements to the old ways of doing things. Companies and their leaders need a new strategy for success, because without that strategy, change is merely substitution, not evolution. Business today is becoming less about the business defining the individual and more about the individual defining the business. That’s how people feel they are making contributions and connect to leaders and their organizations: as individuals who create shared cultures that drive change and foster growth. ​Break free from traditional workplace templates – With its top-down, hierarchical, departmental-silo, one-size-fits-all mentality – the traditional workplace becomes less and less relevant the more it slows progress down. Promote trust and transparency in the new workplace – More transient, diverse and personally-branded than ever before, the new workplace must develop high performance leaders and teams focused on inclusion and the power of individuality. promotes a new level of collaboration through powerful ecosystems – where opportunities multiply and are more easily sustained. Convert the melting pot of differences into a mosaic – Our goal as leaders is to fuel strategies for growth, innovation, and opportunity to maximize the full potential of people, brands, and businesses. Make the new workplace less about titles and more about subject matter expertise – This is about recognizing the unique differences in how people think, act and innovate – and are motivated to perform. By effectively cross-pollinating resources and intellectual capital, you will strengthen the individual capacity required to build the right ecosystems to create and sustain real growth for your business. Glenn believes that leaders must take ownership to attain/exceed business goals with a strategy for change that is focused on creating cultures that are constantly evolving – and with the end game in mind. As leaders, we must learn to trust the natural ways we lead and the wisdom we have accumulated over time earned to create a cultures for growth. This is achieved via four skills Glenn has identified in his best-selling book, Earning Serendipity – that create and propel a culture of innovation and initiative in your teams and sustain opportunity in your work. The rapidly changing marketplace is telling us that As it is no longer about the business defining the individual, but about the individual defining the business. This keynote is designed to enable leaders to immediately identify and leverage the full potential of their teams, partnerships, and client relationships. An understanding of how to respond to the Cultural Demographic Shift in a way that drives growth and helps the organization meet today’s most pressing healthcare challenges. 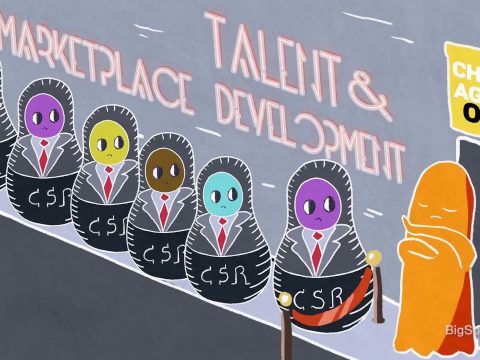 Insights on how to invest in four critical areas to that moves diversity and inclusion to the center of enterprise growth and healthcare transformation. The role that individuality plays to improve the patient experience and overall quality of care. Strategies for effectively transitioning to a value-based, patient-centric model. New accountability metrics for operationalizing diversity and inclusion throughout a healthcare system. Strategies to elevate an organization’s employer brand to attract and retain top talent. 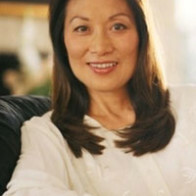 Culturally diverse segments of the population have reached a critical mass in the United States. The implications of the Cultural Demographic Shift™ (CDS) extend far beyond a mere change in composition of our collective population. Minority populations, or “shift populations,” are creating a healthcare delivery phenomenon that is driving the need to serve broader patient demographics in the marketplace and employees in the workplace in ways never before imagined. The key is to get out of the frame of mind that sees diversity and inclusion as an expense and embrace it for what it is: it’s a strategy for growth. Organizations that recognize the power in embracing the impact of the shift will gain advantage in meeting today’s most pressing healthcare challenges: improving patient experience and quality of care; reducing costs, increase efficiencies, and reduce re-admissions; achieving actual community benefit (not just compliance community benefit); moving closer to individualized care and precision medicine; and – because of all that – moving toward value-based care and improved health outcomes. But it requires a new mindset. It’s a true marketplace shift, and marketplace shifts require us to think differently. The Cultural Demographic Shift ™ (CDS) is Glenn’s term for what happens when large cultural segments of the population reach numbers sufficient enough to have a significant effect on what we do and how we act. According to Nielsen, “shift populations™” (e.g., Hispanics, Asian/Pacific Islanders, and African Americans) are projected to represent 54% of the total U.S. population by 2050. This CDS and the populations it represents are influencing how all populations (individuals) are thinking about how they want to be lead and served and want to be served. Yet, But companies continue to ignore the numbers and impact of shift populations, instead expecting these populations to assimilate to the status quo. This forces all people to battle the gulf between assimilation and authenticity at work. Llopis believes that at its core, the CDS cultural shift is about change management and the influence it has on corporate business models. He believes the CDS will be the biggest and most significant marketplace shift in the 21st century because the demand already exists. He has delivered this message across multiple industries, and has been influencing how business leaders and industry leaders view the strategic implications of cross-cultural intelligence, diversity of thought and the rapidly changing face of America’s workforce and consumers. ​A leader’s identity is their personal brand – that represents the totality of what an individual can contribute to the workplace for the betterment of a healthier whole to accelerate for the advancement performance goals in the marketplace. and betterment of a healthier whole. It’s about defining what others can expect from your leadership; the standards for performance responsibility, and accountability. Leaders must be more authentic, purposeful, vulnerable and innovation-minded than ever before. In turn, this requires leaders to take ownership of their charge of their own careers while and guiding the success of others. One’s – with their personal brands representing the totality of what an individual can contribute to the growth of their direct reports, teams, and organizations. Unfortunately, personal branding has become a “commoditized” term that has lost its intention as leaders and employees alike have irresponsibly used social media platforms to build their professional network and increase their relevancy. Glenn believes that personal branding is about making a full-time commitment to the journey elevating one’s individual capacity and capabilities and the performance outcomes associated with them. How discovering the power of one’s individuality of defining yourself as a leader and how this will shape the manner in which you will serve others by consistently elevating your skills sets, capabilities, and industry know-how. He has trained thousands hundreds of leaders to view their personal brand as a trademark, and to continuously mold and shape it. Personal brand is an asset that reinvents itself over time to the needs of the changing marketplace, evolving industry dynamics, organizations, and people we serve. 5 strategies to immediately earn trust with Hispanics so they feel most authentically valued and respected. Hispanics are the fastest growing workforce in the United States and organizations must become more culturally proficient in support of their Hispanic employees, customers and overall business goals. To prepare for the rapid increase of Hispanic employee in the workplace, organization can gain a distinct competitive advance by knowing how to lead, recruit and retain top Hispanic talent. This keynote provides audiences deep insights and reveals the hidden truths about Hispanic employees that are affecting workplaces across America. Llopis teaches audience how Hispanic employees think, what their performance tendencies are and how to earn and advance a trustworthy relationship with them. 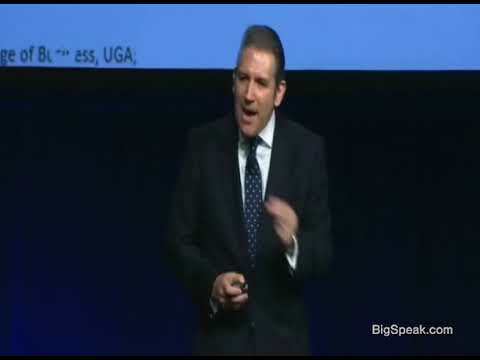 The goal of this keynote is to help non-Hispanic leaders identify the most common workplace behavioral cues and tendencies in order to successfully lead, leverage and encourage your Hispanic employee’s natural strengths and proactively avoid potential tension that may disrupt engagement and their overall performance. Glenn Llopis’ Key Accomplishments Include . 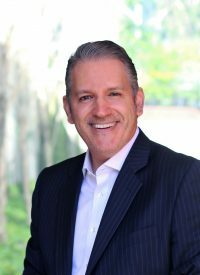 . .
Glenn Llopis (pronounced ‘yō-pēs) is the Chairman of the Glenn Llopis Group (GLLG), a nationally recognized workforce development and business strategy consulting firm. 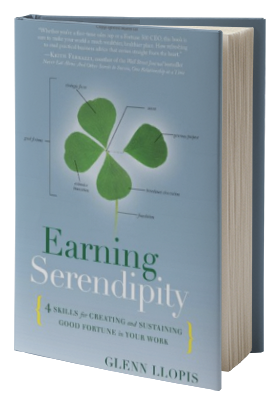 A bestselling author of the books The Innovation Mentality and Earning Serendipity, Glenn has more than 25 years’ experience as an executive and entrepreneur. He is a senior advisor and speaker to Fortune 500 companies and organizations in retail, consumer packaged goods, healthcare and beyond. Known for helping organizations move inclusive leadership to where it belongs – to corporate strategy and transformation – Glenn uses six strategies that his research has identified to help leaders disrupt the status quo and reinvent the way they work. Glenn’s distinction is his keen ability to deploy and operationalize his thought leadership on an enterprise wide scale based on his 25+ years as an executive, entrepreneur and senior advisor to Fortune 500s. Glenn is a contributing writer to Forbes, Harvard Business Review, Entrepreneur Magazine and Huffington Post. He was recognized as a top 20 influential writer at Forbes and a top 100 leadership speaker and business thinker by Inc. Magazine. His writings, speaking engagements, and consulting assignments focus on leading diversity and inclusion as a growth strategy by investing in the Cultural Demographic Shift™. A UCLA graduate, Glenn fast-tracked at the Gallo Wine Company and Sunkist Juice Beverages where he became the youngest executive in the company’s 100-year history. Leading the successful turnaround of Sunkist’s juice beverage division opened the door for his next endeavor – at only 30 years old – as a senior executive at American Seafoods Company. The result was an increase in market share, new brands introductions, and a full-scale transformation of the company. Glenn then went on to form his own successful food business before transitioning into his current role. 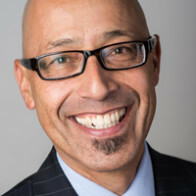 Glenn is a member of the Kellogg Innovation Network and serves on the advisory board of the Brittingham Social Enterprise Lab at the Marshall School of Business at the University of Southern California. He is a board member for Lion’s Heart, a national, non-profit community service organization for teen volunteering and leadership. Additionally, he is a mentor for Junior Achievement and a member of the exclusive Renaissance Weekend think-tank. 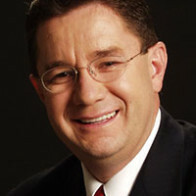 Glenn is frequently featured as a business leadership expert on CNN, Fox News, Bloomberg, Univision, ABC, NBC, and CBS. He lives in California with his family. Glenn has launched new ventures in the United States, Mexico, Canada and Western Europe. He is expert at building consensus, creating successful organizations and negotiating with multiple stakeholders. He specializes in managing high-level client relationships and leading equity development programs. He is flexible, innovative, and action-oriented. 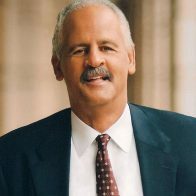 Glenn participates in industry and business community councils and serves as a columnist, board member, consultant and keynote speaker.